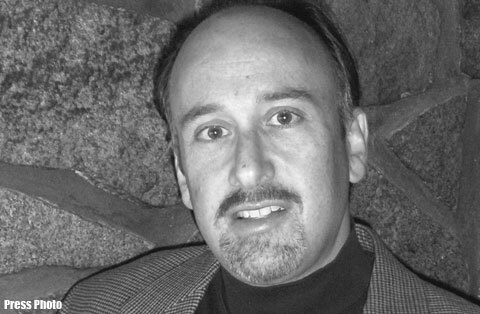 We are delighted to welcome David S. Brody to TheCrimeHouse. Mr. Brody resides in Westford, Massachusetts with his family. His novels include Unlawful Deeds, Blood of the Tribe, The Wrong Abraham, and Cabal of the Westford Knight. Did you believe in the Westford Knight legend prior to writing the Cabal of the Westford Knight: Templars at the Newport Tower? If not, do you believe in it now? I have always thought that the gap between Viking exploration of North America in the early 11th century and Columbus’ voyage in 1492 was inexplicably long. Why wouldn’t Europeans have continued what the Vikings began? So it makes perfect sense to me that Scottish explorers could have island-hopped their way across the North Atlantic in 1398, as the Westford Knight legend recounts. I begin in the morning by rewriting/editing what I wrote the day before. I tend to be most creative and prolific at night, and I’ll sometimes stay up late if I’m on a roll. I do have one hard and fast rule: When I’m in the process of writing a book, I write or edit or proofread every single day, without fail, even if for only 15 minutes. That way my brain never becomes disengaged from the project, which helps prevent writer’s block. How long does it take finish a novel, and how much is research and how much time is actual writing? For me, it takes about 9 months to move from “Chapter 1” to “The End.” I usually take a couple of months to do research before I begin the writing, and then of course the research is ongoing as I’m writing and the plot evolves. So the whole process takes about a year, plus another few months for rewrites. Sometimes the names have a hidden meaning, but usually I’ll just try to choose names that will be easy for the reader to remember and not be confusing with other characters. I remember reading Dostoyevsky in college and not being able to keep the characters straight in my mind because the names were so long and complicated. I happened to be at a ski lodge in New Hampshire with a group of friends celebrating the millennium New Year’s Eve. Which one of your books would make the best movie? I think “Cabal of the Westford Knight,” because the artifacts and sites in the book make such great visuals. That’s why I included actual images within the text of the story, which usually isn’t done in novels. But readers who look at something like the Newport Tower recognize instantly that it is somehow different from any other Colonial-era architecture. A sequel to “Cabal,” in which Cam and Amanda are drawn into another suspense thriller that centers on more ancient artifacts in North America. Are you familiar with any Swedish crime authors? If you were to suggest who we should interview next, who would it be, and what question would you ask this person? I really enjoyed William Dietrich’s, “The Dakota Cipher.” The plot turns on a Norwegian who hopes to find Thor’s Hammer, supposedly brought to America by Templars in the 1300s. I would be curious to learn whether the Thor’s Hammer legend has any truth behind it. Thank you and good luck with your next book!